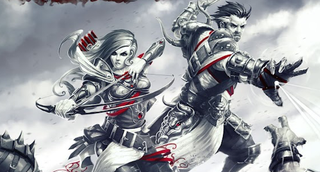 Well, this is cool: The excellent PC role-playing game Divinity: Original Sin is getting a new “Enhanced Edition” later this year, and it’ll be coming to PS4 and Xbox One. •Hours of new content; quests, combat-styles, locations, changes to the crafting system and a reworked storyline breathe new life into the already expansive world of Rivellon. I’m skeptical of how well this game’s copious Ultima-style inventory management will translate to a controller, but I think it’d be really fun to play in local co-op. In fact, I bet that playing through it in co-op with a friend on the couch would make it feel like a completely different game. Regardless, it’ll be a good excuse to start a new game and check out all the stuff Larian has been adding since it first came out. Any reason to play Original Sin again is a good reason, in my book.